– Spinal stenosis: Spinal stenosis is a narrowing of the open spaces within your spine, which can put pressure on your spinal cord and the nerves that travel through the spine. 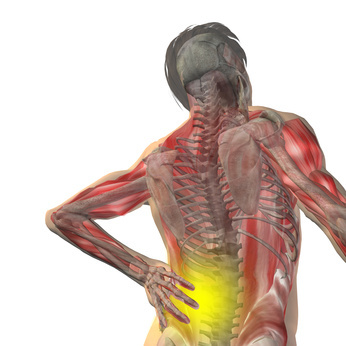 Spinal stenosis occurs most often in the neck and lower back. – Nerve root compression: Nerve root dysfunction, which is usually secondary to chronic pressure or invasion of the root, causes a radicular syndrome of pain and segmental neurologic deficit. – Herniated disk: A herniated disk refers to a problem with one of the rubbery cushions (disks) between the individual bones (vertebrae) that stack up to make your spine. – Arachnoiditis: Arachnoiditis is a pain disorder caused by the inflammation of the arachnoid, one of the membranes that surrounds and protects the nerves of the spinal cord. It is characterized by severe stinging, burning pain, and neurological problems. Even if you do suffer from a qualifying disorder, you will still need to meet the severity requirement before the Social Security Administration will grant you disability benefits. In these cases, you will generally need to show that you cannot perform the necessary tasks of even a sedentary job that does not require you to walk, lift, run, sit, or push, etc. Your case for disability benefits may be strengthened if combined with other related or unrelated disabilities. In these cases, the Administration will consider the applicant as a whole. So the more difficult time an applicant has performing the necessary functions of a job—for whatever reason—the more likely that the applicant will be approved. If you are suffering from chronic back pain that is caused by one of the many chronic back-related diseases, you may qualify for Social Security Disability benefits. To get a better understanding of the process, and to determine if you may be a good candidate, you should consult with an experienced Indiana disability attorney. Attorney Ted Smith has over 30 years experience as a practicing attorney and has the experience and familiarity with the social security system that you need to ensure you have a good shot at getting approved. The disability application process can be complex and drawn out. It is best to have someone by your side who has done this before. Click here, or call 317-280-8863 today to schedule a free initial consultation.